Perry Block - Nouveau Old, Formerly Cute: It's a Miracle! Now that's a Hanukkah Miracle! As most everyone knows, no matter how trumped up it is or may be, Hanukkah is never going to be as big and bold as Christmas. Then again, it was never meant to be. Although the fabled eight nights of Hanukkah gifts impresses at first blush, generations of Jewish children know the reality. While the First Night of Hanukkah you might get a cool set of trains, by Nights Four or Five, you're getting underwear and by the time you reach Night Eight, it's one half of a pair of dice with the note "just double it, kid!" But Hanukkah's biggest problem isn't the inevitable mismatch with Christmas. Simply put, the miracle upon which Hanukkah is centered is just not the stuff of which Charleton Heston - starred Biblical epics are made. Frankly, Temple-consecrating oil conservatively estimated to last a day or two hanging on for an entire eight days is about as compelling a miracle as my making it successfully to work when the gauge is registering below zero but I'm too lazy to stop for gas! ﻿1) One night shortly after the Hebrews’ victory over the Greeks, the skies above Jerusalem suddenly burst forth and mighty droplets of consecrated oil land upon the city! The downpour provides enough oil to light the Temple lamp for a full eight days, but is kind of hard to get out of the cat. 3) Just as the oil is believed close to burning out, the oil meter is discovered to be broken. And when the necessary repairs are made, the meter reads that there is sufficient oil to light the Temple lamp for another 6.45 days, thereby reaching eight complete days! This is considered a great miracle because a Jew fixes something. 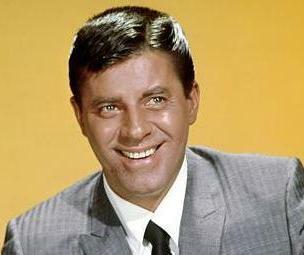 4) Through the miracle of time travel, famed entertainer Jerry Lewis travels back to ancient Israel! His predilections for grooming as legendary as his talent, Mr. Lewis lends the Hebrews enough oil to light the Temple lamp for the total eight days and returns to the present with his inimitable coiffure fully intact! To which all of the ancient Israelites rejoice in thanks: "Oh LADEEEESS!!!" 5) The principle of time-lapse photography, not to be invented for thousands of years, becomes reality! Eight days pass in mere seconds, a paltry amount of oil keeps the lamp lit throughout, and the entire senior class at Jerusalem High misses the prom. 6) The emphasis on miracles is shifted somewhat away from oil to latkes. Heartburn aside, these babies are your true Hanukkah miracles! 7) You win at dreidel. 8) God lifts his mighty hand and Parts the Temple Oil, causing it to rush to opposite sides of the vessel within which it is contained, creating a dry and safe passageway directly through the middle of the vessel itself! What’s the purpose? Well, it certainly did the trick for Passover. 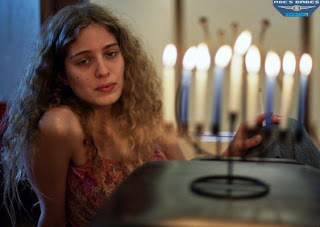 Miracles great and small notwithstanding, maybe we ought to just let Hanukkah be Hanukkah. It may not be Christmas and it may not be Passover and it may not even be your birthday or anniversary, but it is what it is and what it should be. A bit of fun and eight nights of light at a time we need it most. Labels: Charleton Heston, Christmas, dreidel, Hanukkah, Jed Clampett, Jerry Lewis, Jewish holidays, Oy! Ah ha! And now I know more about Hanukkah than I knew before. Should I even know this? I haven't even begun to tell you about how we control the media! This one was funny enough to hurt me laughing. Thank you, Car... what?!! You mean they don't all?!!! I love this as I do all your posts.I just don't want you to get a swelled head by posting to many comments. Newt Gingrich has nothing to worry about! Happy Chanukah, Perry!! Love you, my friend! Thanks for all the smiles throughout another year! I think this was my favorite post yet. Fickle! I thought "News on the Radio" was your favorite post! Thank you, Mike. And Happy Hanukkah! Oh, the Lame Places You'll Go!